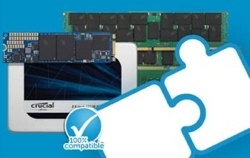 The Crucial BX100 SSD is a legacy product and is no longer available. Boot up almost instantly. Load programs in seconds. And accelerate demanding applications with ease. It all starts with ditching your hard drive. 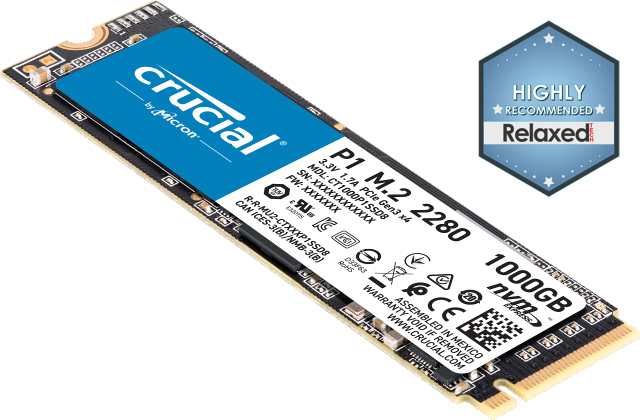 The storage revolution that started in 2008 with our first SSD continues with the new Crucial® BX100. Engineered to outperform a hard drive and deliver cost-effective performance, the Crucial BX100 leverages advanced flash memory technology and moves your computer beyond the outdated storage limitations of spinning discs. By transmitting data in a digital manner rather than having to seek it out on a spinning platter, the Crucial BX100 makes nearly everything on your computer faster and more efficient. Get more done in less time – or just have more fun. The Crucial BX100 SSD is over 15 times faster than a typical hard drive and delivers true 535 MB/s sequential reads on both compressible and incompressible data. By treating all data the same, the Crucial BX100 allows you to do everything quickly, regardless of whether you’re saving an image, accessing a ZIP file, or loading a video. Protect your data by storing it on the Crucial BX100, which is significantly more reliable than a typical hard drive. In the computer industry, storage drive reliability is measured in mean times between failures (MTBF). Most hard drives have MTBF ratings of 0.6 million hours, whereas the Crucial BX100 has a reliability rating of 1.5 million hours. In practical terms, the more reliable your drive is, the less likely it is to crash. Run your system longer and harder – using less power. With Extreme Energy Efficiency technology, the Crucial BX100 is over 90% more energy efficient than a typical hard drive. Since SSDs access data digitally rather than seeking it out on a spinning platter, they consume significantly less power. Get more out of your system – without compromising quality. At speeds up to 535 MB/s, the Crucial BX100 SSD isn’t the fastest drive on the market, but that’s squarely our intent. We painstakingly engineered the Crucial BX100 to provide a massive performance boost, while also delivering an unrivaled value among SSDs. Make the switch to the Crucial BX100 and get everything you expect from a Crucial SSD at an unexpected value. Performance level based on comparative benchmark scores of the Crucial BX100 SSD and the Western Digital® Caviar Blue™ WD10EZEX internal hard drive. Actual performance level may vary based on benchmark used and individual system configuration. Test setup: 1TB Crucial BX100 SSD and 1TB Western Digital Caviar Blue internal hard drive, both tested on an Intel® DZ87RL motherboard, Intel i7-4770K 3.50GHz processor, BIOS Rev. 0327, and Windows® 8 Pro 64-bit operating system using PCMark Vantage HDD test suite. Benchmark testing conducted December 2014. Reliability comparison based on published MTBF ratings of the 1TB Crucial BX100 SSD (1.5 million hours) and the 1TB Western Digital Caviar Blue (0.6 million hours). Hard drive active average power use based on published specs of 1TB Western Digital Caviar Blue internal hard drive.